When a new tenant moves into a property, most landlords and letting agencies will carry out an inventory so that everyone agrees on the standard of the property. After the tenant moves out, another inventory is carried out to find out whether the tenant owes any money for repairs or cleaning. Some landlords and agents hire third parties to carry out inventories, charging the tenant for all or some of the service. But this is about to change. When the Tenant Fees Act – also referred to as the tenant fee ban – comes into effect in June 2019, you will no longer be able to charge for extra services like independent inventories. As such, the Tenancy Deposit Scheme (TDS) has issued new guidance for landlords before the tenant fee ban comes into place. TDS has released guidance on inventory reports with the aim of providing reassurance to landlords. Because they will no longer be able to charge tenants for independent inventories, many landlords are likely to start carrying out inventories themselves to reduce costs. TDS is providing inventory guidance to help ensure best practice. TDS created the guidance in collaboration with the Association of Independent Inventory Clerks (AIIC) and Propertymark. This is the first time they have come together to provide guidance. The new guidance is designed to provide both landlords and agents with the information they need in order to carry out their own inventory reports properly. A low-quality inventory can lead to all kinds of problems and disputes, especially when the tenant feels like money is being taken from their deposit unfairly. The TDS guidance contains all the latest strategies and best practices that are needed to create a report to a high standard. It also provides other details on issues like deposit deductions and dealing with disputes. 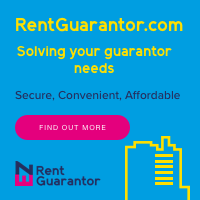 The overall aim is to reduce disputes and to help both landlords and tenants enjoy a better experience. David Cox, the Chief Executive of Propertymark, said that landlords and agencies “must not underestimate the importance of a thorough inventory” because they “provide certainty” and “add clarity”. You may decide that, even with the tenant fee ban coming into effect, you would prefer to hire a specialist inventory service for your properties. However, if you are a landlord or you run an agency and you decide to do the inventory yourself, it is well worth taking a look at the guidance to ensure you are doing it properly.